Books are man's best friends or so the saying goes. Right from the time I was a kid I have been a voracious and passionate reader of of books. I started off with Enid Blyton in my fifth grade and as years passed I enlarged my repertoire to include books on a wide range of subjects like philosophy, science, technology etc. I have started this blog with the intention of writing reviews of the books I read. I hope my reviews will be a valuable guide to people in selecting books for reading. © Sitharaam Jayakumar and Jai's Book Reviews, 2018. Unauthorized use and/or duplication of any material from this site without express and written permission from this site’s author and/or owner is strictly prohibited. Excerpts and links may be used, provided that full and clear credit is given to Sitharaam Jayakumar and Jai's Book Reviews with appropriate and specific direction to the original content. Recently I was listening to an interview with the author Preeti Shenoy on BBC. When she was asked about fictional novels she stated that there are two kinds of fiction: one that wins a number of literary awards and the the other that ends up being a No 1 bestseller. 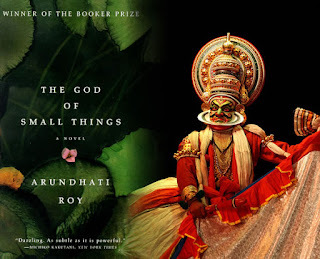 Arundhati Roy's "God of small things" combines both. The language used is quite posh, sophisticated and sometimes very poignant and poetic which allows one to classify it as literary fiction. The story moves a bit slowly at first and I found myself making excuses to put the book down and take a break quiet often. But at some point as the narrative picked pace, I got absorbed in the unfolding tale. The story is based in a village in Kerala near Kochi where I live. This is my first post in this blog where I am planning to write reviews on the books I read. I will try to give some advise on the choice of books for passionate readers like myself. 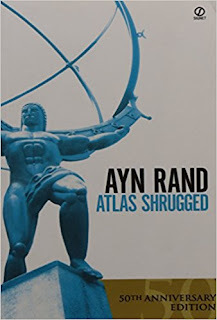 The first book I have chosen to review is a very old fictional classic by the philosopher Ayn Rand based on her philosophy known as Objectivism. Many of you might be wondering why I have chosen a classic that is more than half a century old for my first review? Well, the answer to that is I re-read the book recently and secondly the topic that it deals with - capitalism - is relevant even today. Now on to the book. It is my belief that there are two kinds of books that can be categorized as fiction. On one hand we have popular Masala fiction like 'Two States: The story of my marriage' written by Chetan Bhagat which top the best sellers list. On the other hand we have literary fiction written by authors like Arundhati Roy and Aravind Adiga which win literary awards. 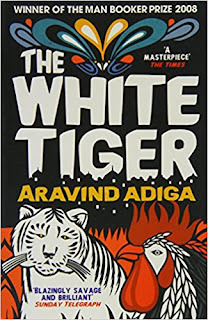 I am not a very literary type and I had bought 'The White Tiger' because I found it in a small book shop and did not have to pay much for it. But believe me, the book was worth much much more than what I had paid for it. It is a story which clearly brings out the caste hierarchy in the Indian society. It brings out the conditioning of the minds of the poor and the marginalized by centuries of oppression they have been subjected to by the rich and elite of the Indian society.